Donald Klein, MD D.Sc, is an attending Physician at the New York Presbyterian Hospital and New York State Psychiatric Institute. Research Professor at the Department of Child and Adolescent Psychiatry of the Langone Medical Center at NYU. Research Psychiatrist at Nathan S Kline Institute for Psychiatric Columbia University. Dr. Klein observed that patients with panic attacks were suffering from a distinct disease entity, which was ultimately referred to as panic disorder. Dr. Klein’s early contribution to the development of the DSM in large part gave birth to the modern branch of medical science dealing with the classification of disease of anxiety disorders. He dissected out a schema for diagnosing anxiety disorders that is routinely used to this day. He separated panic disorder and agoraphobia from generalized anxiety disorder, social phobia, and simple phobia. 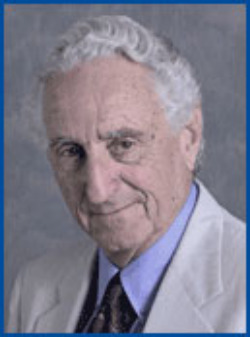 Dr. Klein’s early findings also heralded in the era of childhood anxiety disorders as biochemical disorders when he discovered that imipramine blocked childhood separation anxiety disorders. In later years, Dr. Klein developed a compelling evolutionary-based hypothesis accounting for the etiology of panic disorders, which terms “the false suffocation alarm theory of panic disorders.” His work continues to remain relevant and topical to the present. Dr. Klein was the recipient in 2005 of the first ADAA Lifetime Achievement Award.